Last year’s midterm elections started a new stage of American cannabis reform, with legalized cannabis a popular topic both on ballots and campaign platforms. In 2019, many states are taking this a step further by drastically overhauling their cannabis laws. In the Midwest, legal cannabis has never been more popular. Michigan voters approved a ballot measure to make their state the first in the Midwest to legalize recreational cannabis, while Illinois, Minnesota, and Wisconsin further solidified Midwestern cannabis legalization prospects with the election of pro-cannabis governors J.B. Pritzker, Tim Walz and Tony Evers. In Ohio, five cities voted to decriminalize cannabis possession. North Dakota also considered expanding access to cannabis, though voters rejected the measure. On the other hand, similarly conservative states Missouri and Utah did approved initiatives to legalize medical cannabis. From coast to coast, change seems to be in the air. New Mexico elected new governor Michelle Lujan Grisham, who pledged to sign a “balanced, responsible” legalization bill, while New York re-elected governor Andrew Cuomo, who said that legal recreational cannabis is a top priority for his administration. Lawmakers in Washington D.C. are introducing bills to legalize cannabis at the federal level, and even some Republicans are softening their stances on cannabis research and legalization. As Jolene Forman, senior staff attorney at the Drug Policy Alliance, told Newsweek, 2019 could be a momentous year for cannabis legalization. In the next several months, she believes “we can expect to see more of the same type of change, but maybe at a more rapid pace. Which States Could Be the Next to Legalize Cannabis? Below, you’ll find 2019’s best prospects for states legalizing or regulating cannabis. 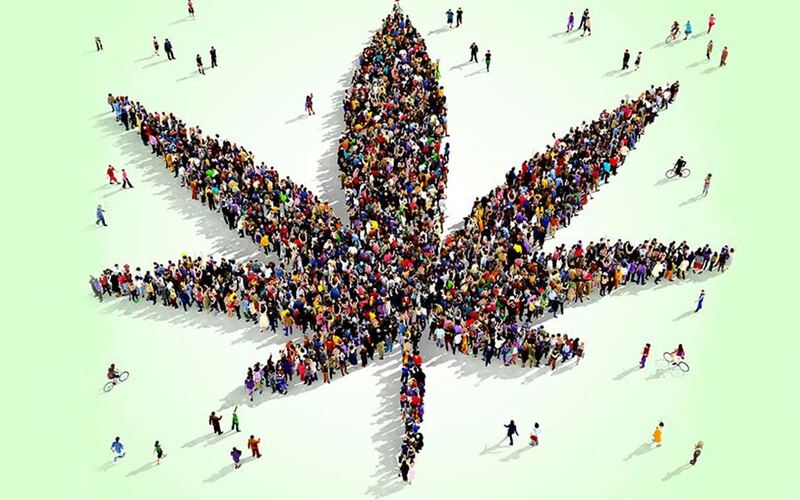 New governor Ned Lamont has said that legalizing recreational cannabis would be one of his priorities got the 2019 lawmaking session of Connecticut’s state legislature, and it appears he has plenty of support. In January, more than a quarter of the members of the state House of Representatives jointly filed a bill to end cannabis prohibition — giving it 42 co-sponsors in total. It seems that Connecticut is looking to its neighbors for cues, particularly Massachusetts, which generated $2.2 million in state income in the first five days of legalization. It’s been two steps forward, one step back for the Aloha State’s cannabis policies this year. Although the state Senate recently advanced a bill legalizing recreational cannabis for adults over 21, it even-more-recently failed to pass that bill due to a missed filing deadline. On the positive side, a different bill has already passed — one that allows out-of-state visitors to refill their medical cannabis prescriptions at Hawaiian dispensaries. Somewhat confusingly, though, Hawaiians still aren’t allowed to travel between the state’s seven islands with their own medical cannabis. New governor J.B. Pritzker made cannabis reform one of the central issues of his campaign this past November, and he hasn’t walked back his pledge now that he is in office. His proposed 2020 state budget factors in $170 million from tax revenue on legal cannabis, though the legalization legislation that this would depend on hasn’t yet been filed. Two lawmakers have been working on a legalization bill they intend to file in May. Pritzker believes that legalization could eventually bring in $700 million to $1 billion a year. For now, though, Illinois is taking it slow. “We’re still trying to find the best path forward for equity and inclusion, still looking at what’s worked and not worked in other states and trying to put together a combination of solutions on that front,” said state Rep. Kelly Cassidy, one of the two lawmakers working on the bill. “We want to do this not by guess but by fact,” she added. Though new governor Tim Walz has set the state on course to “replace the current failed policy,” issues remain to be ironed out. The latter is one idea that could face an uncertain future due to the Republican-controlled Senate, which has so far resisted complete legalization. New Hampshire’s neighbors have already moved forward on legalization — and if the Democrat-controlled state legislature has its way, New Hampshire will follow in their wake. In February, a House committee narrowly approved a legalization bill, which will soon be sent to a vote before the full House of Representatives. One roadblock stands in the way — Gov. Chris Sununu. Despite having decriminalized cannabis possession in small amounts in 2017, the governor has clashed with opponents over full cannabis legalization in the past. However, Democratic House speaker Steve Shurtleff said that the legislative body has enough pro-cannabis votes to overturn a gubernatorial veto. Governor Andrew Cuomo has been a changed man since his contentious primary run-off with pro-legalization candidate Cynthia Nixon. From a reluctant signee to his state’s medical cannabis law in 2014 and someone who called cannabis a “gateway drug” in 2017, Cuomo has evolved into an advocate for one of the more progressive cannabis legalization proposals to date. As its New England neighbors move to legalize recreational use cannabis, Gov. Gina Raimondo has signaled that the time has come for Rhode Island to consider full legalization. Her proposal has been included in a state budget request and would allow adults 21 and older to possess and purchase marijuana from a licensed retailer.